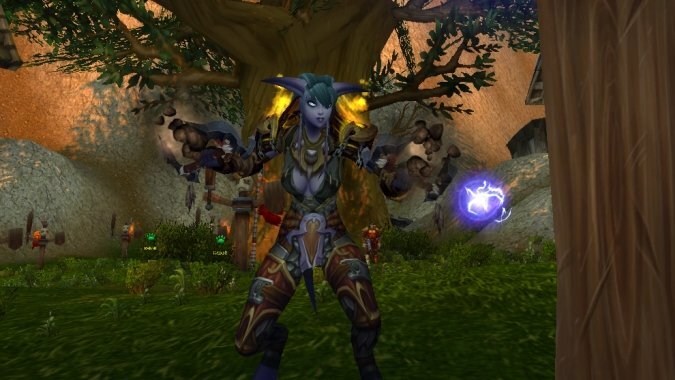 I’ve said here — multiple times, even — that I’m pretty happy with the state of Enhancement Shaman in Legion. It’s fun to play, it has enough dials to tweak that you can re-summon some of the feeling of older Enhancement playstyles if you wish, and while it lacks some things that I would like (totem forts, for example) those are also things I never expected to actually get. I prefer it to the current Warlords version of the spec, that’s for darn sure. But all of that is not the same as the spec actually being any good. Which I think is important. I said not so long ago that we don’t actually know how the endgame for Legion is going to shake out, and that remains true. There are a great many things which we are still waiting to see. So this week, I want to talk about what we’re waiting to see. It’s all well and good to say that we still have to see how the endgame shakes out, but with Enhancement largely in the place that it’s going to be when the expansion launches, there’s room to speculate about what is going to make or break Enhancement utility through the endgame. 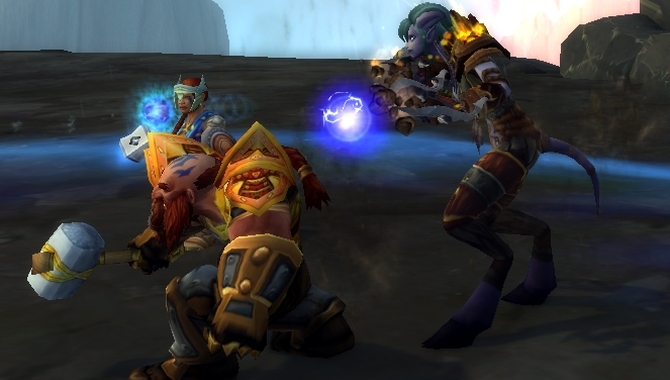 It’s no secret that Enhancement is among the least mobile of the melee DPS options out there. Demon Hunters are all about mobility, Warriors have Charge and Heroic Leap, Rogues can Sprint, Hunters can yank themselves over, the list goes on. Enhancement has Ghost Wolf, which can be a bit awkward, and a single movement-based talent might wind up leaving us a bit more anchored than is entirely healthy. Mobility is usually a big deal in a certain percent of high-end encounters. Enhancement has typically gotten around the issue in PVP via snaring effects that cut down the difference, but outside of Ghost Wolf we’ve never had a surfeit of mobility options, and we’re definitely not getting much help in that department. 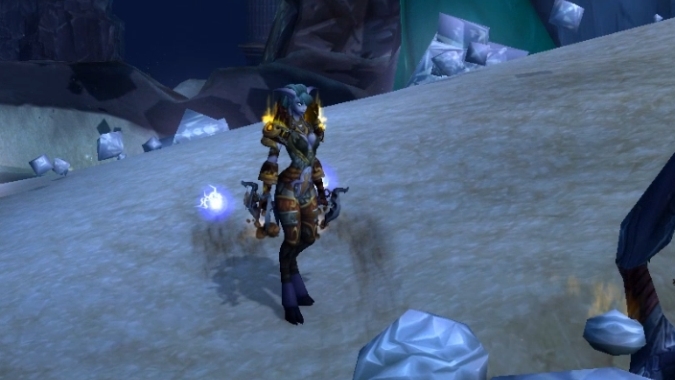 On top of that, the new class being added to the game is all about being mobile and responsive, and it’d be kind of odd to add Demon Hunters before an expansion that doesn’t care about mobility, yes? I expect we’ll be feeling this particular weakness quite keenly. A class can be the most fun thing to play in existence and it’s still going to have a tough time finding spots in raids if it does half the DPS of every other class. Unless, of course, it increases everyone else’s damage by half in the process. This is particularly pertinent to Enhancement, because it has traditionally been our wheelhouse through Cataclysm, dropping totems into melee and making sure that everyone is hitting even harder because we’re there. Of course, we no longer have that particular trait, but we can still bring some party utility. We also have raw tuning to consider — now that a given spec is much more focused in on doing one thing and one thing only, it’s not unrealistic to assume that Enhancement could actually bring the raw numbers by itself to justify its presence. Thus, considering what we bring to the party in terms of raw parsing and overall advantage is important. We do bring some enhanced pain for the party, which is a good thing. We also have Bloodlust/Heroism, which is a bit less of a big deal as we’re not the only source of it but is still desirable. It’s enough to make us a worthwhile contribution to any party… if our ability tuning is there. That’s something that currently looks good, but is going to depend a lot on parsing once the expansion is live and we can all see how Enhancement looks on rotation. I am hopeful but not certain. If there’s one thing that Enhancement is good at in Warlords (and there is) it’s in clearing out huge numbers of things quickly. Flame Shock, Lava Lash, and Fire Nova produce a dizzying amount of damage in short order, especially since targets with Flame Shock feed off of one another quite aggressively. But that’s all going away in Legion, and so we’re going to be left with the question of what Enhancement is good at dealing with. Wiping out huge packs of weak enemies is a niche that can absolutely need to be addressed. So is taking out single adds with high burst damage, providing high sustained boss DPS, or whatever. Settling into a very specific niche made Enhancement far more desirable this cycle and kept us relevant despite a haphazard rotation; the question, then, is whether or not we’ll find ourselves settling into a similar niche this time around, or if we’ll be in a position of doing the same thing as every other DPS but slightly differently. As of yet, I’m not seeing a niche that Enhancement fills quite so nicely as our current position — we’ve got solid AOE options without being spectacular, solid but not spectacular single-target and burst, etc. The result is that the spec can do a lot of things adequately, but not exceptionally. That makes us more solid for five-person runs, where you need characters who can accomplish a wider variety of tasks due to the reduced headcount, but it might hurt our overall desirability for raids when we get down to it. Shamans have always had a weird way of edging into a corner case and becoming far more powerful than anyone would expect. It’s happened several times along the way now, and it’s where I’d put our current utility in Warlords. No one planned for Enhancement to become the absolute master of enormous AOE damage, but it happened. So that raises the question if Enhancement might have a new post just due to interplays that have not been fully considered. Bosses may be unusually vulnerable to Nature damage. Voodoo Totem could be absurdly more powerful than expected. Fight composition could make our tricks even more useful than they already are. I’m not saying that I consider any of this particularly likely, but it is certainly possible, and it might wind up leaving us as more desirable than we otherwise may be. Really, if we have something with crazy broken interplay that isn’t immediately obvious, I would be making it immediately obvious. But it’s worth considering that even though a quick glance makes it seem that we don’t have quite as many tricks as we might like, we can still be surprised. And a lot is going to depend upon tuning.